For the second race in a row, drivers of the Chevrolet Performance Challenge Series joined drivers of the NMCA to put down palpable amounts of power with LS, LT and LLT engines under the hoods of their hot rods. In the heads-up category of Chevrolet Performance Stock presented by Scoggin-Dickey Parts Center, Haley Rounsavall rocketed to a 10.14 to set the pace in her Camaro, but hot on her heels was reigning class champion Jesse Wilson, with a 10.15 in his Camaro. Several rounds later, the two met in the final, and when it was all said and done, Wilson wheeled to the win with a 10.29 while Rounsavall ran to the runner-up with a 10.57. It was Jesse Wilson's fifth straight appearance in the Aerospace Components Winner's Circle as he has gone undefeated in CP Stock so far in 2018. While Bryan Williams drove to a 9.77 on a 9.75 index in his Firebird in LME Street King, Taylor Lumsden and Kurt Anderson arrived at the final, where neither wanted to be the first to bump into the beam. "Both cars are sitting there idling away, and we have a staging duel," said announcer Brian Lohnes as he was calling the race. 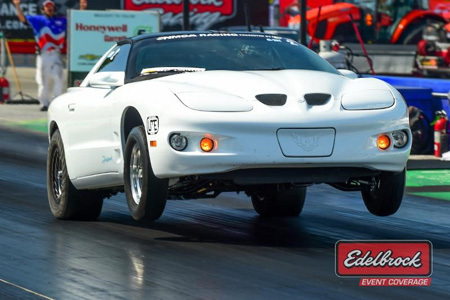 When they finally staged, Lumsden landed his second win of the season with a 10.05 on a 10.00 index in his Firehawk and Anderson was the runner-up with a 9.82 on a 9.75 index in his Camaro. "We had to tackle the weather, and we were adding weight to the car and pulling weight out of the car to get it to perform, and we got close enough," said Lumsden. "Kurt (Anderson) is great, and he has helped us a lot. It was a fun race, and I'm looking forward to the next one." 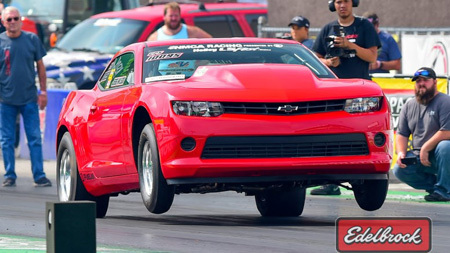 In the Chevrolet Street Car Challenge, Stephen Chechak, who was the overall winner at the Nitto Tire NMRA/NMCA Super Bowl of Street Legal Drag Racing presented by Fuel Systems Technology in July at Route 66 Raceway in Illinois, repeated his feat as he was the overall winner with an 9.41 average at this event. George Messer ran to the runner-up with a 10.23 average, and Kevin Rowand rolled out the 11-second win. Bob Sanders secured the 12-second win and Bill Schoenberger picked up the 13-second win. Rounding out the field was Kurt Hindel with his 14-second win. 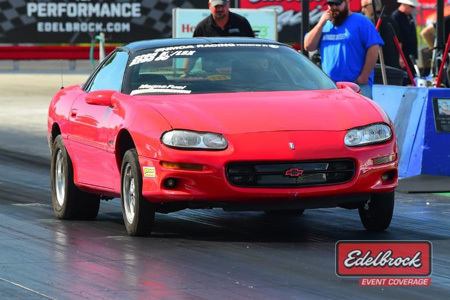 After several months of masterful racing, Chevrolet Performance Challenge Series champions will emerge at the next - and final - race on this year's tour, the Holley Fest, Sept. 7-9 at Beech Bend Raceway in Kentucky.